Pretty cool. Full graphics capabilities streamed to your mobile. Nu what is the latency? 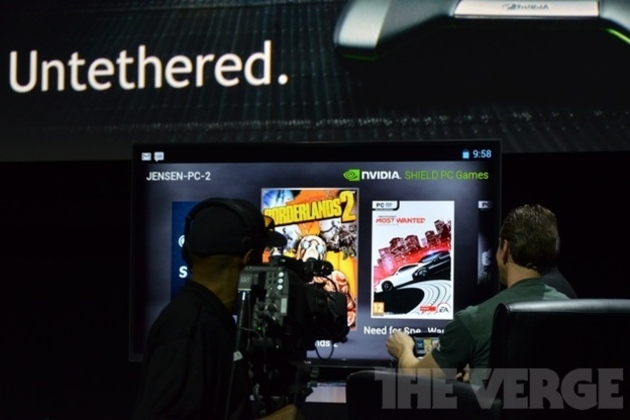 Nvidia has just announced at its CES press conference that its new Shield handheld gaming device can connect to users' home PCs to stream and play games. To work, users need an Nvidia Kepler-based graphics card (GTX 650 or GTX 660M or higher), which utilizes a piece of software in GeForce Experience. Games streamed to the device must also support controller input, though Nvidia says some games without controller support can be played by mapping control buttons to the Shield's inputs. The move will allow PC gamers to extend their game sessions to the handheld or through Shield to their TVs without having to lug their computer towers or gaming laptops over to the living room.